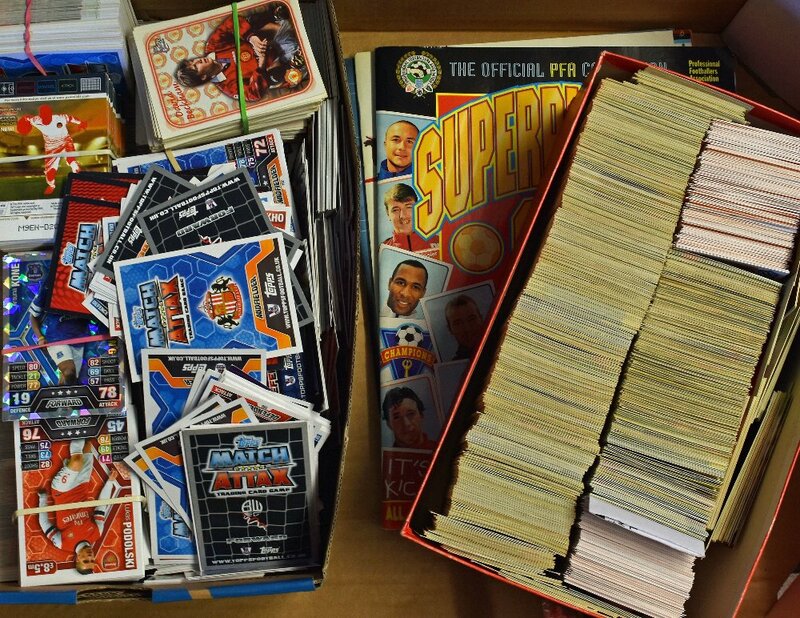 Panini Football sticker album superplayers 98, Merlin sticker album 2006 England, 06 Premier League all part complete. 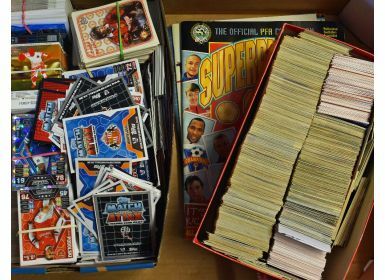 Collection of match cards including Topps, Proset, Match Attax, literally 100’s and 100’s. (1 box) worth a good view to assess, here to sell.